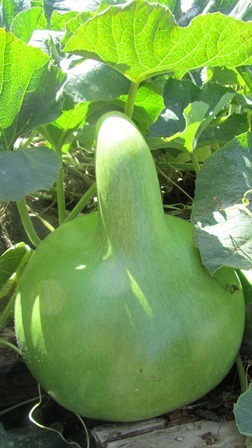 After a long dry month of March, finally April brought rain to the region along with plummeting temperatures. 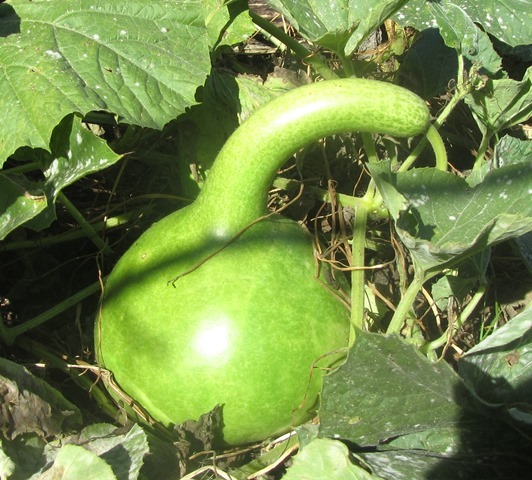 Although the gourd vines are mostly dying off at this time of year, with powdery mildew all over the leaves, your gourd plants might still have growing tips, and strong juicy stems. 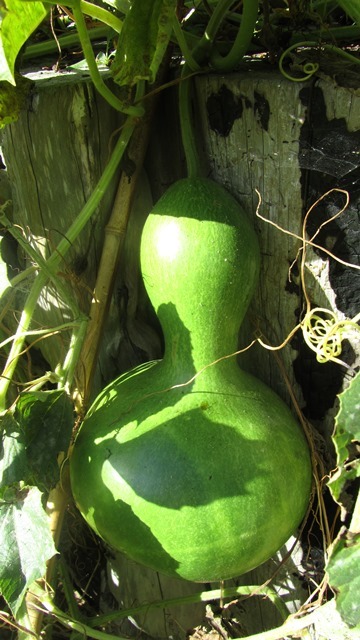 If your plants are still alive, leave your ripening gourd fruit on the vine as long as possible. 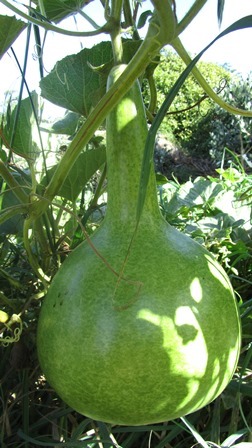 Even though the gourd fruit may not grow any bigger, their shells will become thicker and tougher, so the dried gourd will be stronger and less likely to rot while it is drying.